Home / Uncategories / HURRAY! kENILINA COMPOSITE CORNFLOUR WITH 100% NIGERIA RAW MATERIAL OUT. HURRAY! kENILINA COMPOSITE CORNFLOUR WITH 100% NIGERIA RAW MATERIAL OUT. HURRAY! Kenilina Composite CornFlour Out. 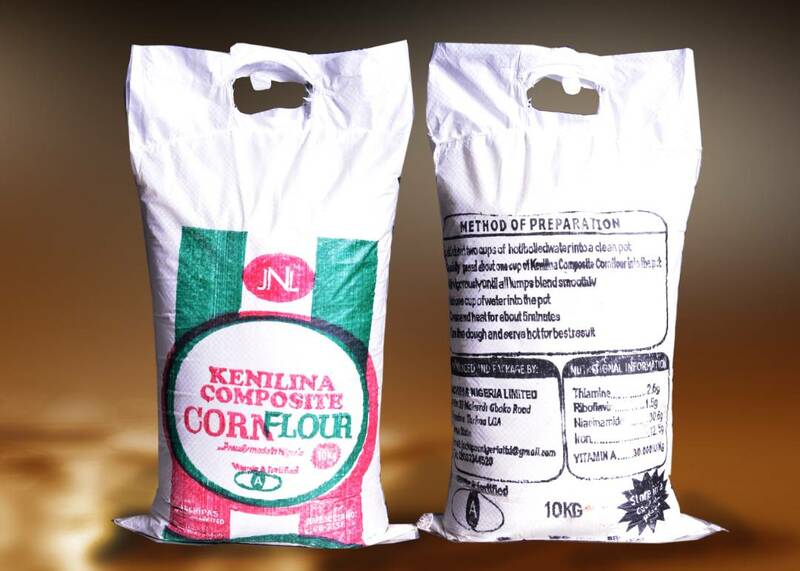 Kenilina Composite CornFlour is a composition made from 100% Nigerian Raw Materials with no preservatives. Kenilina Composite CornFlour is a unique formula that is rich in Micro- Nutrients that are of high Nutritional requirement to the body. Kenilina Composite CornFlour can be consumed by all age grades as it has aonderful Fibre Content! Kenilina Composite CornFlour is produced hygienically with high Technical & Professional infusions from well experienced Industrial experts. Kenilina Composite CornFlour comes in two available pack sizes: 5kg & 10kg. On affordable prices. A Healthy Life begins with a Good Nutritional Live Style. Visit NOBIS SUPERMARKET WURUKUM,MAKURDI NOW & PICK A BAG OF Kenilina Composite CornFlour.